Not only is this the first appearance in the Heart of Dallas bowl for each school, but this is also the first all-time meeting. This is Southern Miss’ first bowl since 2011 and they’re 8-6 SU/7-6-1 ATS in their last 14 bowl games. Head coach Todd Monken is coaching is first bowl game. Washington is bowling for the sixth straight season and lost to Oklahoma State, 30-22 (-6) in last years Cactus Bowl in head coach Chris Petersen’s first year at the helm with the Huskies. Prior to joining Washington, Peterson was 5-2 SU/ATS in bowls at Boise State. It looked to be a rebuilding year for Washington, as they lost a lot of talent to the NFL and returned just nine starters. True freshman quarterback Jake Browning has had a fine season, along with another true freshman in running back Myles Gaskin (enters with three straight 100+ yard games). With youth comes inconsistency and that is what Washington has displayed, but they have an elite defense as they held four of their foes to either their lowest or second lowest yards total and are No. 10 in the FBS holding their foes to 99 yards per game below their season average. The offense turned the corner late as they are averaging 491 yards per game, including 218 (4.4) rushing yards per game their last three games. For years you could count on Southern Miss being bowl eligible as they had gone 19 straight years without a losing season before 2012! In his third year, head coach Monken has done a great job and the Golden Eagles were a money machine this year at 10-3 ATS. As expected they split their four non-conference games, losing to both Power-five conference teams, then crushed North Texas and out-gained Marshall in a loss. They then reeled off six straight wins, including going on the road and crushing Louisiana Tech for the CUSA West Division title, before losing to Western Kentucky in the CUSA Championship game. They are No. 15 in the FBS averaging 100 yards per game more than their foes allow & quarterback Nick Mullens has had nine game with 300+ passing yards, including one over 400. Southern Miss enters this game having out-gained their opponents by 156 yards per game, while Washington has out-gained their opponents by just 38 yards per game. However, the Golden Eagles have played one of the easiest schedules in the country, while the Huskies play in the deepest conference in the nation. Southern Miss has not played a team that has a defense as tough as Washington and they played just five bowl teams, while the Huskies played 10. Against those five bowl teams, the Golden Eagles only won once and their losses were by an average of 16 points per game. Washington maybe a young team, but they have gotten better as the season has progressed. This is the first all-time meeting between these schools. Both teams have played in this bowl once with Miami losing to Notre Dame, 33-17 (-2.5) in 2010 and Washington State beating Purdue 33-27 (-6.5) in 2001. Miami is in the post season for the third straight season and 16th time in the last 20 years. They are just 1-6 SU/ATS their last seven. They hired former Georgia head coach Mark Richt after the regular season, but interim head coach Larry Scott will be coaching his first bowl game here. Washington State is bowling for the sixth time in the last 20 years, but just the second in the last 12 years. They’re 2-3 SU/ATS and lost 48-45 (-5.5) to Colorado State in the 2013 New Mexico Bowl. Prior to Washington State, head coach Mike Leach was 5-4 SU/3-6 ATS in bowls while at Texas Tech. Washington State far exceeded expectations this year. After finishing last year 3-9 they did return 14 starters, but had to break in a new quarterback. Sophomore Luke Falk proved to be the perfect fit for Leach’s Air Raid offense as he earned first team Pac-12, finishing with five games over 400 yards passing and two over 500! It’s easy to forget that they lost its opener to an FCS team, but their only other losses were at Cal and versus Pac-12 champion Stanford in games that went down to the wire. The Cougars also lost in the Apple Cup as Falk was out after suffering a concussion, but he will return here. Miami had high expectations in head coach Al Golden’s fifth season despite just 11 returning starters. They got off to a 3-0 start, but were then upset at Cincinnati and nearly pulled the upset in their close loss at Florida State. After beating Virginia Tech, they were embarrassed at home to eventual ACC champ Clemson and Golden was fired. Tight end coach Larry Scott took over and the Hurricanes went 4-1 to close the season, with their lone loss coming to ACC Coastal Champ North Carolina on the road, 59-21, but they were only out-gained by 62 yards. They only allowed one 300 yard passer all season and have a solid pass defense overall. While both teams have identical records, Miami enters having won four of five. The Hurricanes appear to match up well in this game as they have the talent edge and should be able to control Washington State’s passing attack. Miami should also be able to get pressure on Falk as they have a clear edge on the line of scrimmage. The Cougars leading receiver Gabe Marks was hurt in the Apple Cup and will be limited in this game. Neither will have much of a crowd edge, but Miami will look to impress their new head coach. 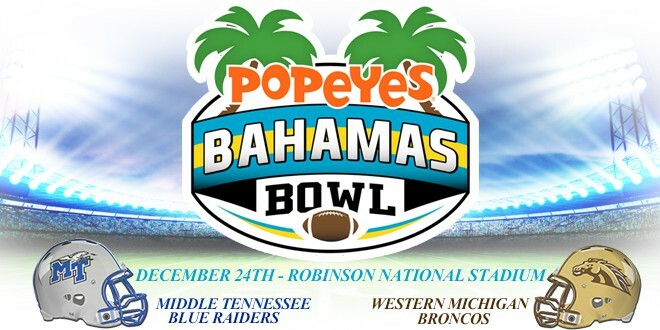 This is the first ever meeting between these schools and this is the second Bahamas Bowl. This is Middle Tennessee’s fifth bowl game, with all of them coming in the last 10 years. They failed to get a bid last year, despite being eligible. Head coach Rick Stockstill has led them to all their bowl games and is 1-3 SU/ATS. This is also Western Michigan’s fifth bowl in the last 10 years and the first time they’ve ever been to back-to-back bowls. They lost the Idaho Potato Bowl to Air Force last year, 38-24 (-2) and were 0-3 SU/1-2 ATS in the three previous bowl games. This is Head coach PJ Fleck’s second bowl game. Western Michigan surprised many by getting to a bowl game last year. They returned 16 starters, but faced a much tougher schedule this season. After opening up 1-3 with expected, but respectable losses to Michigan State and Ohio State, they reeled off five straight wins. Then came the brutal portion of their conference schedule and they lost to eventual MAC champion Bowling Green and then to the MAC West champion Northern Illinois. They then faced a Toledo team that needed a win to get to the MAC Title game and pulled the outright upset despite being over a touchdown ‘dog. The Bronco’s average 481 yards per game and are No. 19 in the FBS averaging 82 yards per game more then their foes allow on average. They are led on offense by third year starting quarterback Zach Terrell, who had another fine season, including four games with over 300 pass yards. Western Michigan’s pass defense is middle of the pack, and they are allowing 225 yards per game (54.8%) with a 21-9 ratio. Middle Tennessee entered the season as a prime contender in CUSA as they had their best team in years and were coming off a six win season. They had 16 returning starters, including their quarterback Austin Grammer. Redshirt freshman Brent Stockstill (Rick’s son) beat out Grammer for the job and improved the position as he has had a fine season. Things looked bleak for the Blue Raiders early on as they started the season 2-4 after their loss at eventual CUSA champ Western Kentucky. They beat Florida International, then lost to CUSA West champ Louisiana Tech and were sitting at 3-5. Middle Tennessee closed the season with four straight wins, averaging 496 yards per game including 310 passing yards per game in that span. On the season they average 459 yards per game and Stockstill has thrown for 300 or more yards in seven games. Like Western Michigan, the Blue Raiders are also middle of the pack in terms of their pass defense (247 yards per game, 58%, 21-16). Being in the Bahama’s in the winter can’t be a bad thing for either team. 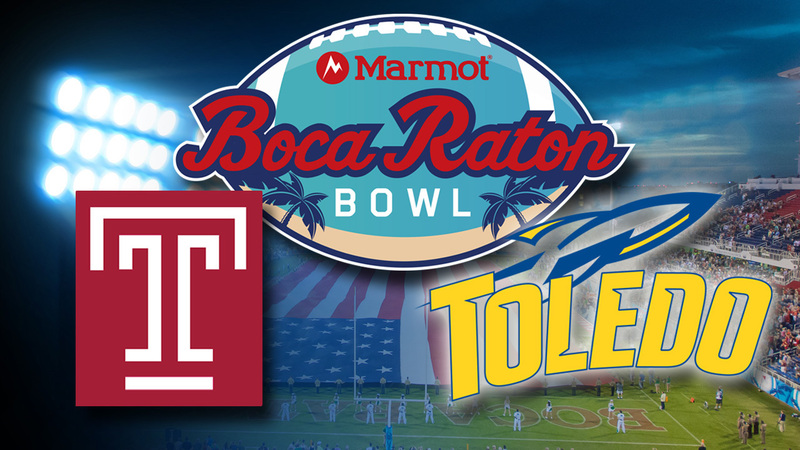 Last years Bahama’s bowl appeared to be a blowout as there was a 35 point margin in the fourth quarter, but it ended with a failed two point conversion at the end! Both teams were out-gained when going against other bowl teams as Western Michigan is minus 29.5 yards per game, while Middle Tennessee is minus 112 yards per game. These teams match up well and both have similar statistics, but the Bronco’s have faced a tougher schedule that featured eight bowl teams including Ohio State and Michigan. This is the first all-time meeting between these schools. This bowl was formerly known as the GMAC Bowl from 2001-2010. 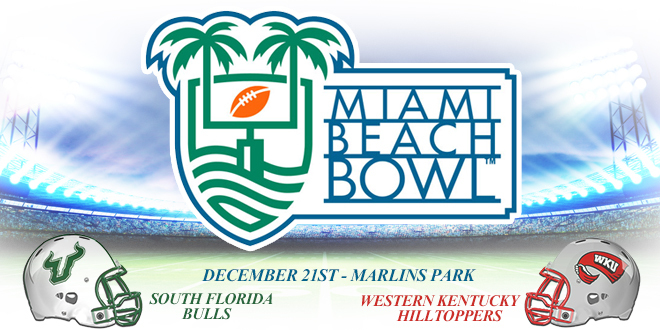 This is Bowling Green’s first GoDaddy Bowl, but they did go to two GMAC bowls, winning in 2004 and losing in 2007. They are 1-2 SU/ATS all-time in bowls. Head coach Dino Babers accepted the Syracuse job and defensive coordinator Brian Ward will be the interim head coach here. Georgia Southern made a bowl in just their second season in the FBS. Head coach Willie Fritz accepted the Tulane job and running backs coach Dell McGee will be the interim head coach here. Georgia Southern was undefeated in the Sun Belt Conference in 2014, but were ineligible for a bowl. After losing as expected at West Virginia to open the season, they reeled off five straight wins and then lost their first ever SBC game at Appalachian State. They then won three of four, with their lone loss on the road at Georgia in overtime. They split their last two as they were shocked by Georgia State as a three touchdown favorite. The Eagles run the triple option (356 rushing yards per game, 6.5 avg) and their defense held four foes to season lows in yards as they finished No. 11 in the FBS, allowing 90 yards per game less then their foes averaged on the season. Bowling Green returned 15 starters, including 10 on offense and didn’t disappoint. Despite a brutal out of conference schedule that had them on the road in three of the four games, they went 2-2. Bowling Green then won their first six conference games, but then lost to Toledo for the sixth straight year. They rebounded to win their finale and then pounded Northern Illinois, 34-14 to win the Mid American Conference Championship. Their strength is on offense, as they averaged 561 yards per game and are No. 3 in the FBS, averaging 169 yards per game more then their foes allowed on average in the season. Quarterback Matt Johnson had six games with 400 or more yards passing, but has failed to throw for more than 274 in the last four. They haven’t seen the option and are just average in defending the run. While Georgia Southern has a unique offense, they were held under 280 total yards in four games. They averaged 507 yards per game in their eight wins, but just 239 yards per game in their four losses. Against five bowl teams, the Eagles were just 1-4 as they were out-gained by 131 yards per game, but they did beat fellow MAC team Western Michigan, 43-17. 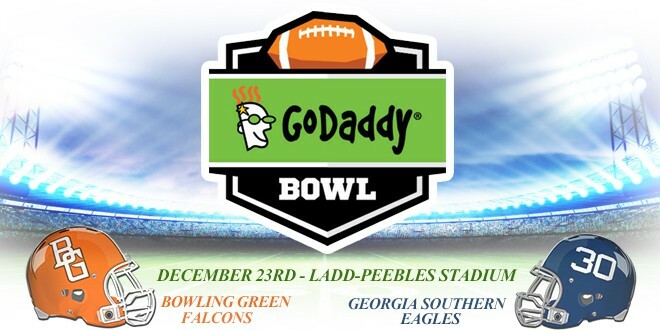 Georgia Southern is much closer to Ladd Peebles Stadium so they should have the crowd edge. Bowling Green was plus 73 yards per game against bowl teams. Usually when a spread passing attack offense and a triple option offense meet, there are a lot of points scored and this game should be no different. This is the first all-time meeting between these schools. Akron is bowling for just the second time ever and they lost their initial appearance, 38-31 (+4) to Memphis in the 2005 Motor City Bowl. Head coach Terry Bowden coached in three bowls while at Auburn, going 2-1 SU/0-3 ATS. 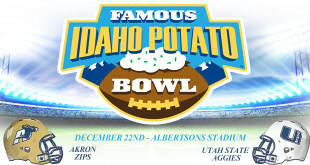 This is Utah State’s fifth straight bowl and their third appearance in the Idaho Potato Bowl. In their previous two post season trips here in 2011 and 2012, they went 1-1 SU/ATS & head coach Matt Wells is 2-0 SU/ATS in bowl games. Utah State entered the season a contender for the Mountain West crown as they returned 15 starters from a 10 win season. 2012 first team WAC quarterback Chuckie Keeton returned, but was again injured versus Washington, but has started the last two games. Kent Myers did well again filling in for him, as they won 3 straight, but have lost four of their last six despite being a favorite in all but one. The Aggies still finished in a four way tie for second in the MW Mountain Division. They held four opponents to either their lowest or second lowest yards on the season and finished with 26 sacks (8.4%). Akron entered this season with high expectations despite returning just 12 starters. After expected losses to Oklahoma and Pittsburgh to open the season, they then won three of their next four. The Zips were blown out by eventual MAC champ Bowling Green and lost a close gm to Central Michigan, but then won their last four games. Their calling card entering the season was their defense and it lived up to the billing as they held three of their foes to their season low in yards and finished No. 17 in the FBS, holding their foes to 75 yards per game below their average. Over their last four games, Akron averaged 401 yards per game, including 203 (4.5) rushing yards per game, while allowing just 293 yards per game, including 74 (2.7) rushing yards per game in that same span. Akron quarterback Thomas Woodson came on as the season progressed and led the offense in their four game winning streak to close the season. The Zips haven’t been to a bowl game in 10 years and are excited to be here. Utah State will have the crowd edge as their campus naturally is much closer to Bronco Stadium (258 miles away, Akron 1769). Aggie quarterback Keeeton didn’t play up to his potential in the regular season when he returned from injury, but with extra rest he should be back to his normal All-Conference ways in this game. Utah State needs a win to avoid a losing season, so they will be putting forth a maximum type of effort. In his first two bowl games that Wells coached the total points scored was 35 and 27 points, so look for a low scoring, physical game. This is the first all-time meeting between these schools, first ever bowl game for Georgia State (joined FBS two years ago), and the inaugural Cure Bowl. This is just the third bowl game in the last 20 years for San Jose State (first since 2012). 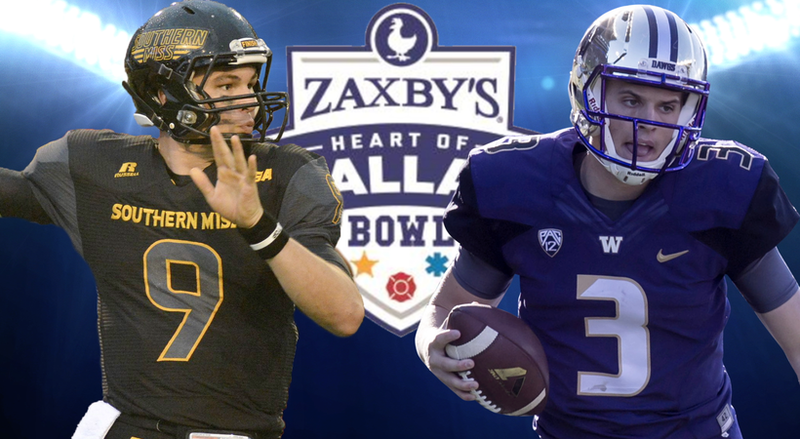 Both teams have first time bowl head coaches (Panther’s Trent Miles was 0-1 in the FCS playoffs). San Jose State was one of three teams to earn a bowl bid despite a losing record. They entered the season as an improved club as they returned 16 starters, 10 on offense, including quarterback Joe Gray. Junior college signee Kenny Potter was in for spring, is a dual threat option, and eventually won the job, but suffered a sprained ankle against Oregon State. He missed two game, but returned versus UNLV and posted three 300 yard passing games and one 100 yard rushing game in the last seven. Tyler Ervin, maybe the best running back you’ve never heard of, had six games over 100 yards, including two over 200, finishing once with 300! The Spartans never won back-to-back games and finished the season losing three of four. San Jose State only allowed 154 passing yards per game (55.5%), but didn’t face many prolific passing offenses and are middle of the pack in terms of their pass defense. Georgia State is far and away the most surprising team to make a bowl this season. They entered 2015 having never beaten an FBS team and had won just two games in three years and that included a season in the FCS! The Panthers did return 17 starters and it’s extremely ironic that head coach Miles had almost the exact kind of success in his third year at Indiana State that he had this season, with similar records the previous two years! Georgia State began the season 1-4 and then at 2-6, needed to win out to become bowl eligible. After winning three straight, they were a 21 point road ‘dog versus powerful rival Georgia Southern. The Panthers won outright by nearly four touchdowns and are one of the hottest lesser known teams in the country. Quarterback Nick Arbuckle finished the season with seven straight games over 300 yards, including two over 400 in that span! With the closer proximity, Georgia State would figure to have a sizeable crowd edge, but they rarely got fans in their own venue. My guess is that this will be the smallest crowd of the bowl season. San Jose State is just 5-7, but will still be motivated even though a win will still give them a losing season. The key matchup is San Jose State’s average passing defense against Arbuckle, who has proven he can pass at will against weak pass defenses.